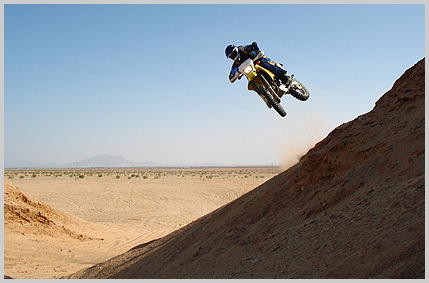 We love any chance to ride, but occasionally we organize AMA sanctioned events. You can keep an eye on the forums to find out who's going on informal rides (and other local happenings). Every year in February we organize an AMA Sanctioned, Organized Dualsport Ride. February 2019 will be the 16th Annual Anza Borrego Desert Dash where you'll see some great scenery - badlands, mud caves, canyons and mountainous trails in the desert regions of Anza Borrego, Ocotillo Wells, Superstition Mountain and Plaster City. You can download the Flyer HERE, and also check the forums for older Desert Dash ride reports, hope to see you there!